UPDATED: Governor Palin’s Faith Matters; Why? Liberal heads often spin wildly whenever Governor Palin talks about her faith–or when someone else talks about her faith. Those who would have us believe they are the most tolerant of them all are really not very tolerant at all, especially when it comes to faith, and more so when it comes to Governor Palin and her faith. She has been called a wacko and a religious nut, among other things. As sad as it is, I have come to expect that from some on the Left. The only part that baffles me is that many so-called progressives claim to be Christians themselves. However, they have remained silent whenever she is attacked for her faith. I find that…well, strange. Much was made of the Governor’s Pentecostal upbringing, and, again, those on the Left–some of whom have Pentecostal upbringings themselves–contracted laryngitis. Not a sound out of them when cartoons emerged to make a mockery of the faith, when journalists reported on what they considered weird worship, and when tons of debate ensued about “What exactly does Sarah Palin believe? Is she really a Pentecostal? Does she speak in tongues?” Oh my goodness! Run! Meanwhile, President Obama appointed a Pentecostal minister to run the Office of Faith-based and Neighborhood Partnerships and nobody seemed to have a problem with it–no sneaking into the man’s church trying to grab a soundbite of somebody speaking in tongues, no degrading cartoon about the man’s beliefs, nothing like that at all. In fact, this is the first some of you have heard of it because no big deal was made out of it–nor should there have been. But Governor Palin wasn’t afforded the same respect. If you’re so inclined, you can read about President Obama’s appointment to the faith-based office here, but again, it shouldn’t be news. For some reason, however, Governor Palin’s bold declaration of faith remains an issue. I still get emails from blog readers who demean our Christian faith for no other reason, I suppose, than it contradicts their own lifestyles. Why else would it warrant such vitriol? I mean, if no one is forcing anything upon you, why would you be angry about what someone else believes? Live and let live, right? What annoys me even more than people who mock her faith, though, are the people who support the Governor but find it necessary to downplay her faith. I’m like, why?! It’s who she is. Does she force her faith on anyone? No. Does she have a record of governing as a Christian dictator? No. But you do her no favor by trying to water down her faith. In fact, I dare say it’s insulting. After all, it is, as she says, her “be all, end all,” and that requires no explaining away. 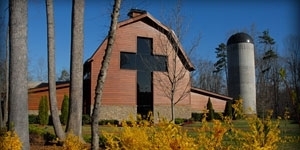 While preaching Wednesday night, my pastor mentioned the Governor. His message was about making strong moral decisions ahead of time so that when circumstances arise we have already determined to do what’s right. He used her as an example of a person who made up her mind to put Christ first, who would not sell out her faith in Christ for some other prize. That is what she represents to so many of us. 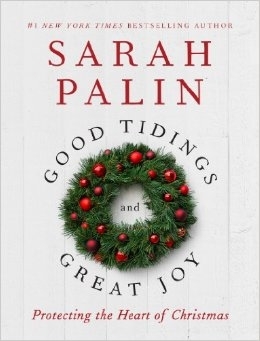 Governor Palin is not, in her own words, shy about her faith in Christ. And why should she be? When asked about prayer, she answers without hesitation. When interviewed about Godly leadership, as you see in the video above, she speaks from the heart of its importance. Whenever questioned about how she has managed to face challenges, to remain standing through all the ups and downs, the darts and arrows that come her way, she answers, “God strengthens me.” Those who despise any reference to God are thrown into a tailspin by her answers. Why can’t she say something else, something more appropriate, something more politically correct? And right there, I’ve touched on what separates her from so many. She answers with truth. And the truth is that she knows it is God Who brings her through, Who is her source, Who is her strength. So why would she answer any other way? This transparency and boldness are why so many are so excited about her. You’ve heard it before, and it is true: she is a breath of fresh air! We are aware, too, that our country is at a crucial point in its history. We long for someone who knows that with all her accomplishments, with all her experience, with all her support, still it will take God’s hand of protection, His direction, and His grace to take us where we need to go. We feel an urgency for someone who will humble herself and pray. We know we have that in Governor Palin–a person who believes in prayer, a person who asks for prayer, and person who has committed herself to prayer. And speaking for myself, when I think of a leader with that kind of understanding and faith in Christ, I am that much more excited to support her, that much more determined to defend her, and, of course, I am that much more committed to praying for her. Thanks, Sinistar, for help with the video. *UPDATE: I told you heads spin whenever people discuss faith, especially Governor Palin’s faith. Now, I’ve had a Youtube account for months now, and I have never had more than 2 comments in all that time. Today, I got 17 (and they’re still coming)–all left in response to this video where the Governor talks about Godly leadership. I warn you some are rather demeaning and downright sick. Isn’t it something that the thought of faith in Christ brings out the devil in some people? And these are the tolerant people, unlike those Christians who are so mean and hateful! What I love about Governor Palin is she’s been at this long enough to know when she gave the interview that Liberal heads would spin, but she’s bold enough to speak the truth nonetheless. Like I said, she’s a breath of fresh, fearless, unapologetic air. I decided to post the comments here, though normally I would not do so, just so you can see what we have to deal with, how the mere mention of faith just makes people dizzy, and aggressive, and hateful. But again, they call Christians intolerant. The truth is what I always said it was: many of the attacks against Governor Palin have more to do with a spiritual battle than anything else. Demonic, plain and simple, but she’s dangerous?!? Pray, America. Pray. –Superstitious goddiots make me sick! –wow…she’s trying so hard to be articulate and yet, she’s still ****ing up. –The US is heading down a road to theocracy! Be careful voters, for you may get what you wish for. –she doesn’t have all the answers, unless it’s what god wants then she totally knows! –How did she get to be so stupid? –Yes, politicians should be humble enough to base their decision making on a higher intelligence. Science that is. “God” doesn’t answer to your stupid little prayers concerning health care and global warming. Scientists do, and they’re much, much more intelligent than you are. So go ahead and listen to them. Google: “Creating God in one’s own image + scienceblogs” for research on this. –My earlier views at the unsoundness of the Christian scheme of salvation and the human origin of the scriptures, have become clearer and stronger with advancing years and I see no reason for thinking I shall ever change them. –Unfortunately God was not kind to Sarah at her birth when he was passing out intellect. –A safer and more prosperous nation if we get back to our founding principals? Does she realize that the first half century of our country was spent eliminating the natives who were put here by God? Is she in denial of the fact that there are millions of non-Christians in America? How can it be that this woman possibly be a potential 2012 presidential candidate? –News flash: Abraham Lincoln did not believe in the God of any religion, he was a deist. –Good grief, she really is a proper nut job isn’t she? Not an original, or true, idea in her head… just illogical, vague, religious rhetoric that never as to be proved. –I really cannot stand this stupid biatch. Read the rest of his PROCLAMATION APPOINTING A NATIONAL FAST DAY here.